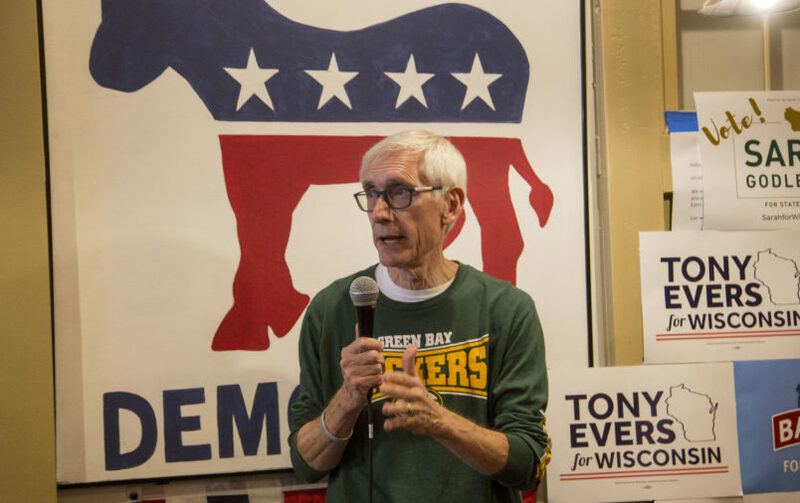 MADISON, Wis. (AP) — Wisconsin’s Democratic governor-elect on Tuesday accused the Republicans who control the Legislature of making a “desperate attempt to cling to power” by considering placing new limits on the governor’s office before he takes over in January. GOP Senate Majority Leader Scott Fitzgerald said in an interview on WISN-AM that Republicans were discussing limiting the governor’s authority over a process of enacting rules that have the power of law. The Legislature increased Walker’s authority over that process shortly after he took office in 2011. Republicans have been in complete control of the Legislature and governor’s since that year. Walker hasn’t said whether he would sign any such bills into law before he leaves office on Jan. 7. His spokeswoman, Amy Hasenberg, didn’t immediately reply to a message seeking comment. Such a move has precedent: Republicans in North Carolina two years ago limited the number of appointments that the Democratic governor-elect, Roy Cooper, could make once he took office. The lame duck session, which legislative leaders called at Walker’s request during the campaign, was supposed to be exclusively about approving a $100 million tax break bill for paper products giant Kimberly-Clark Corp. The incentive package is designed to save a Fox Crossing plant that employs about 500 people. Republicans didn’t have the votes in the Senate to approve the bill this year and it’s unclear whether they do now. Republican Sen. Luther Olsen is chairman of the Senate’s Education Committee and has worked closely over the years with Evers, the state superintendent since 2009. Olsen said Thursday that he didn’t know exactly what the Senate may be taking up, but that he’d be open to scaling back the powers of the governor.